Asian weddings can differ in different ways especially when choosing your themes or picking out what decorations you want to use for the event. A lot of Asian themes would most likely have some traditional style on their decoration. 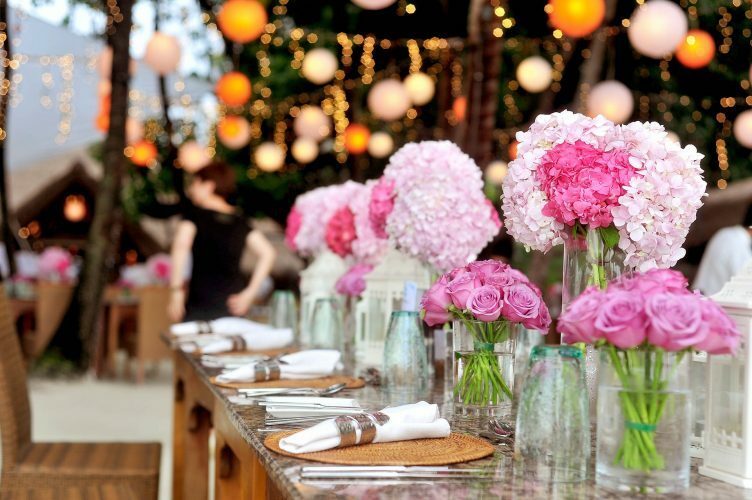 You can incorporate the following decoration ideas that can maintain the traditional atmosphere for your wedding. In most Asian countries, lights and lanterns are the most used source of lighting, so adding the lights as a decoration can instantly give you an ethical or tropical mood. Asian Weddings normally has a vibrant feel, so it’s important to use some bright colours like red, yellow, gold, green and blue. You can also mix some bright colours with warm colours to balance the colour theme. Depending on the tradition, some cultures are required to wear certain colours in the event. If you’ve decided to host your wedding abroad, there are many exciting benefits you’ll get to enjoy. This is an ideal solution for almost any type of wedding ceremony, whether it’s a traditional or modern one from any kind of religious background. Most people do choose to travel to a hot country for their destination wedding, as it make the whole celebration into a more of a holiday with friends and family. Especially for people living in the UK, the hot weather is an enjoyable novelty and something that adds a special extra reason to remember the wedding. 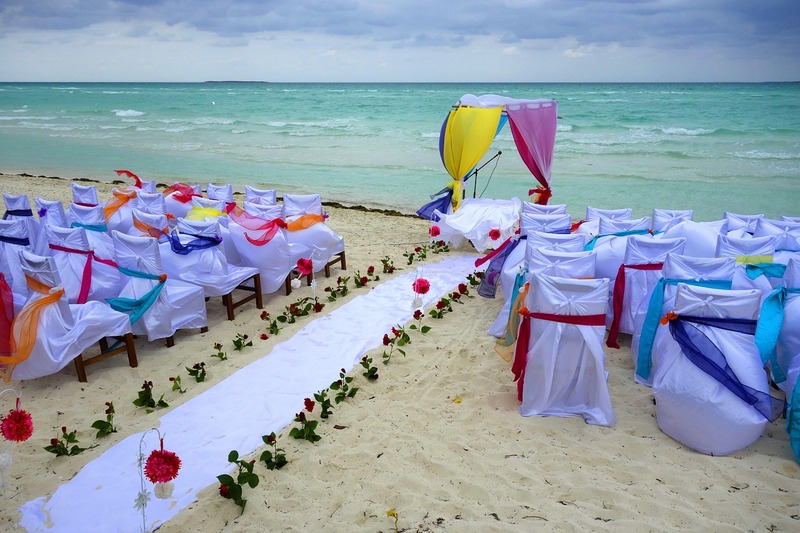 However, you will want to bear in mind some specific advice for weddings in hotter climates than you’re used to. Here are some of our most relevant tips. Everyone needs to stay hydrated throughout the proceedings! When you’re celebrating, it’s great to enjoy a few alcoholic drinks, and the wedding guests will certainly appreciate ice-cold cocktails being served at every opportunity. However, water is always important too and you might not realise at first how much more you need than usual in a hot climate. The last thing you need is to get sunburnt right before your big day, or on the day itself, and the same really goes for all of your guests too. Many people may be vulnerable to strong sun if their skin isn’t used to it, so always be safe. For any bride and groom, wedding photography tends to be high on the list of priorities when it comes to arrangements for the big day. This is especially true for several types of traditional Asian wedding ceremonies, which are known for being vibrant, exciting and spectacular shows that everyone will want to remember clearly for years to come. That’s partly why professional Asian wedding photography is so popular in the UK, and only the best will do for capturing those perfect moments on film. All weddings can be wonderful occasions with impressive spectacles to admire when it comes to the outfits, the decorations, the choice of venue and more. 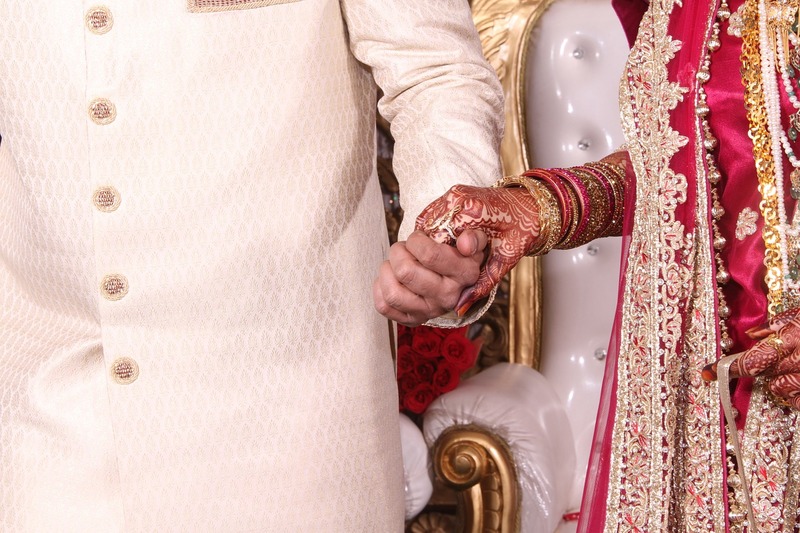 However, Asian marriage ceremonies do have a reputation for being among the grandest and most colourful affairs, which lends itself perfectly to great photography to document the occasion. Indian weddings in particular tend to revolve around festivities and celebration, with plenty of dancing and entertainment as well as elaborate outfits. They also tend to have large numbers of guests, so there is always plenty of action going on and the happy couple are likely to miss some of the details. That’s what makes their photos so special later, providing an immersive way to relive that beautiful day and avoid missing any of the most special moments with their family and friends. 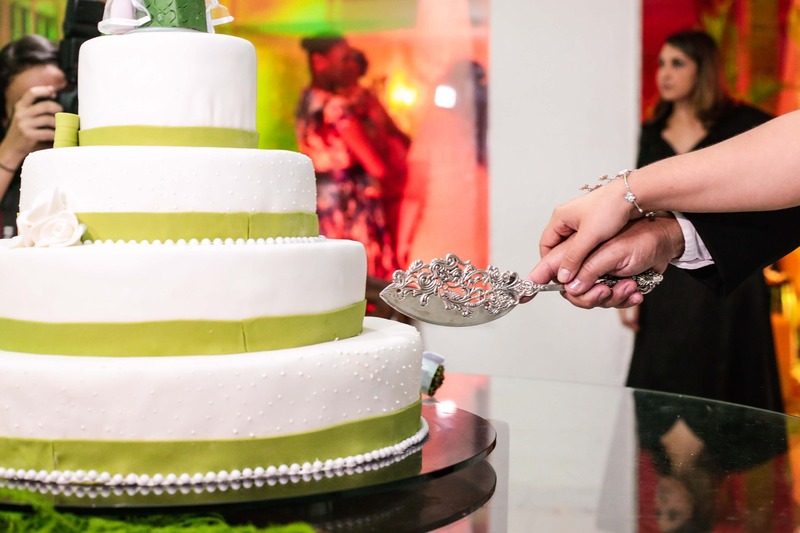 When you think of a wedding, you might think of the traditional method of having one large cake with multiple layers, each smaller than the last. While the different layers can be different flavours, there’s still not a lot of choice available when it comes to traditional wedding cakes. Another approach is to have a lot of smaller wedding cakes instead of one large, grandiose affair. You may have to purchase more wedding cake stands and wedding cake toppers if you have a lot of separate cakes, but if you think about it, this isn’t a lot of extra cost for the ability to be able to have a wide variety of cakes at the wedding. Sure, a wedding is all about the bride and groom, but sometimes it’s good for them to ‘give back’ to the wedding party. Of course, using multiple cakes for a wedding instead of one large fancy one does add a lot of small decisions to what might already be a hectic planning process. Amongst other things, you’ve got to ensure you book the best professional wedding photographer. However this is still a small price to pay to have a wedding that is a little different, a little 21st century if you will. There are a few things you should take into consideration when trying to choose the right wedding cakes for multiple guests. Indian weddings are notoriously some of the most difficult events to photograph successfully, although they are among the most rewarding too. When done right, the results can be spectacular. 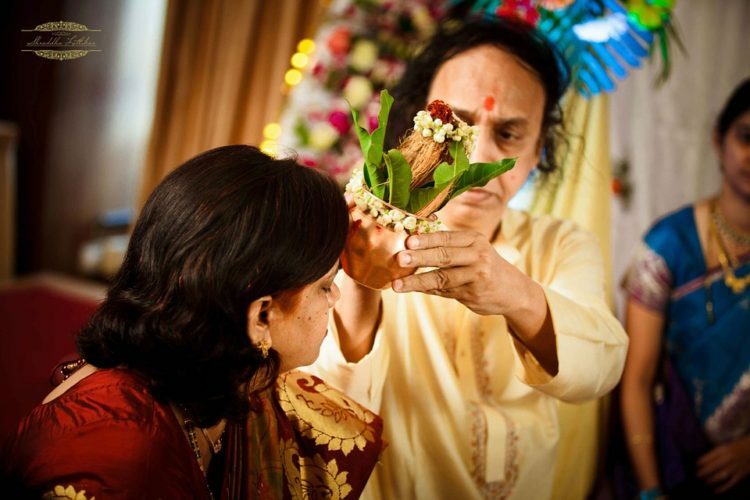 Capturing the intricacies of a Hindu marriage ceremony is a particularly difficult task, and a great outcome for the couple looking to document their memories relies on the knowledge and experience level of the photographer in large part. Fortunately there are a few main steps a prospective wedding photographer can take in order to maximise their chances of success. 1) Start with a consultation – Meeting the bride and groom in person shouldn’t be left until the last minute, but you might be surprised how often this happens. A face-to-face meeting well in advance, however, is certainly the best way of ensuring you’re all in agreement about how the photography should be approached based on the order of the day, especially with a complex traditional ceremony. Building a good relationship and letting the couple get comfortable with their photographer is essential for the best results. 2) Vary your shots – It’s important to factor in some time to take what you might consider the most important pictures on the day, namely those featuring the happy couple and their close family both during and after the marriage ceremony. However, aside from this time (which will likely be under half an hour at most) you will be spending your time capturing moments on camera without much planning or staging. It’s important to get plenty of candid shots throughout the day and try not to miss any special moments. The bride and groom might miss some of them, but thanks to you they will be able to relive them later through the pictures! A traditional Indian wedding is naturally likely to be a spectacular affair, and one that all the guests and family of the happy couple will remember. A classic staple of this whole show is the outfits worn by all attendees, especially the bride, of course. But no wedding ensemble could possibly be complete without accessories! Whether you choose to order your Indian jewellery online, wear traditional pieces passed down through the family or go for a combination of new and old, this aspect can be very important. There are simply so many choices that many wedding guests find this prospect quite daunting, let alone the bride herself. These are the kind of details that must be absolutely perfect if you’re keen to capture exactly what you imagined for your big day – or at least that’s what you’ll feel like in the build up to the event. The Indian jewellery you choose may be affected by your choice of outfit. For a bride wearing a traditional lehenga, dramatic gold jewellery tends to be the most suitable. You can have a lot of fun selecting your favourite pieces from your own family collection, or searching for new pieces. Either way, this is the time to find something spectacular that holds a special sentimental value for you, or will be part of your future wedding memories.